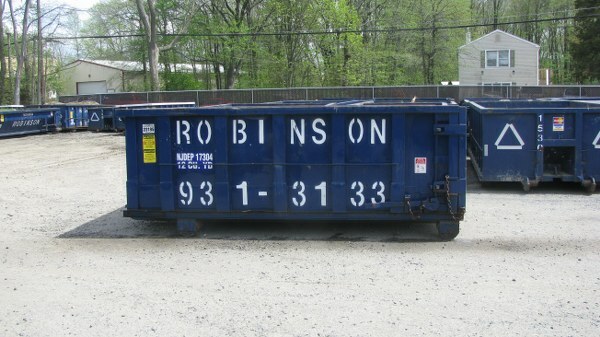 A roll off container is a dumpster that rolls off the back of the truck delivering the container. 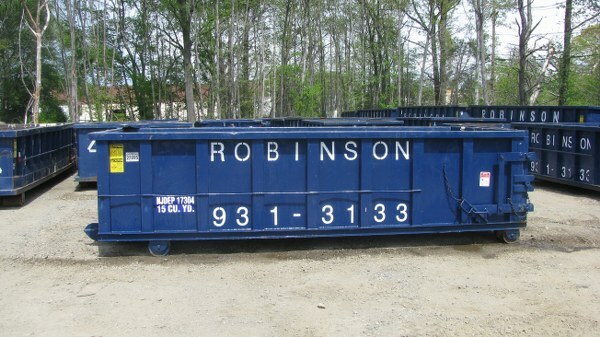 Robinson Waste Disposal is an excellent source for rentals for roll off containers. 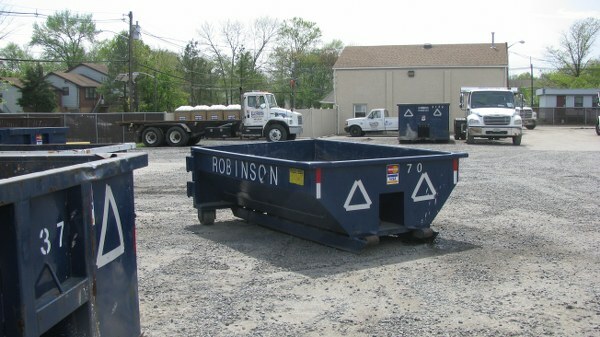 Our roll off contailers come in a variety of sizes from 6 to 30 yards. 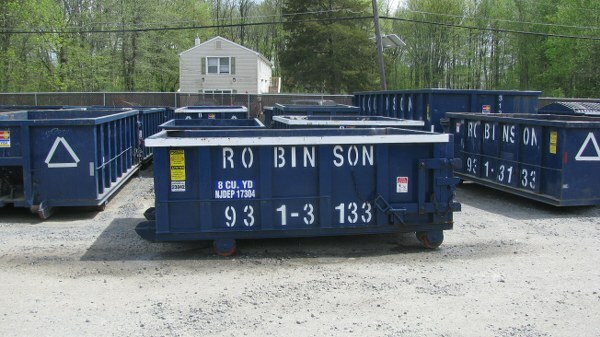 Below is a list of available sizes for Roll Off Containers. 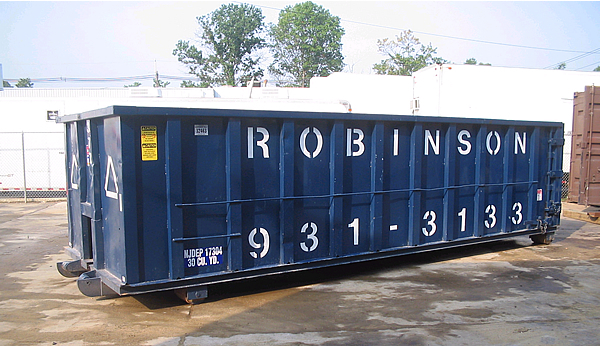 Suggested uses: Shed or storage clean-out, small bathroom remodel, spring cleaning and small basement clean outs. Dimensions – (h) 3.5ft. (w) 6ft. (l) 8ft. 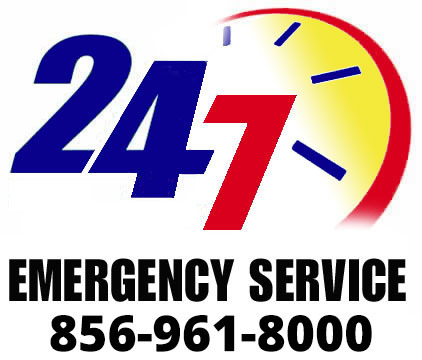 Suggested uses: One car garage clean-out, bathroom remodel, spring cleaning, basement clean outs, roofing material, small kitchen remodel, yard debris, and construction debris. Dimensions – (h) 4ft. (w) 8ft. (l) 12ft.